Jitender Singh( MSW) Panjab University, Chandigarh worked as a student intern from June to July at the SASI. 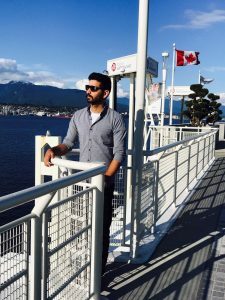 The internship was a University studies project in which he was doing a cross cultural analysis of parenting support for children’s education by South Asian parents in Abbotsford. His project was titled: Restructuring Education through collaborative culture: A research survey of how parents engage and involve themselves in reading support for their children. In implementing the survey he received responses from families that confirmed his hypothesis that many school teachers and administrators are consistently, creatively and earnestly working towards promoting parental involvement in schools. The information provided by families enabled him to gain a broad overview of the nature of parental involvement in schools. It also provided him with the opportunity to further develop a strategy to continue his research in the area of parental partnership with schools.